Sometimes, when you meet like-minded people, things can just click between you. Several years ago, I started volunteering with the local residents association along with some others that have become very good friends. Together, we've done some pretty amazing things and have made our community a better place. 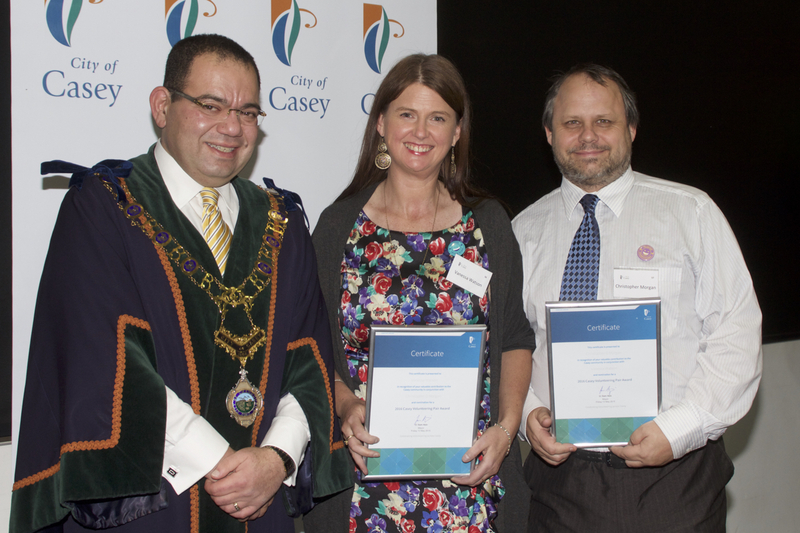 Last night, although entirely unexpected, that effort was recognised at the City of Casey 2016 Volunteer Awards. My good friend, Vanessa Watson, and I were nominated in the category of Volunteer Pair. The Lynbrook Residents Association, which is where we do most of our tireless work, was also nominated in the Community Group category. Vanessa was further nominated in the Individual Volunteer category. Like most other volunteers, we don't do what we do for the recognition, and I'm sure we'd all be just as happy doing what we do even if there were no volunteer awards. However, on occasion, and just for the briefest of moments, it is nice to relax and indulge in a bit humble pride. I'd like to take this opportunity to thank all those at the LRA that I have worked with over the past several years - and to Vanessa in particular. Without these people in my life, I wouldn't have the opportunity to do the things I love and they have also been a fantastic source of inspirations to me.